But, the Supreme Court never ventured into the issues of redistribution of wealth, and of more basic issues such as political and economic justice in society. To that extent, as radical as I think people try to characterize the Warren Court, it wasn’t that radical. It didn’t break free from the essential constraints that were placed by the Founding Fathers in the Constitution, at least as it’s been interpreted, and the Warren Court interpreted in the same way, that generally the Constitution is a charter of negative liberties. Says what the states can’t do to you. Says what the federal government can’t do to you, but doesn’t say what the federal government or state government must do on your behalf. J. Christian Adams resigned recently as a voting rights attorney at the Justice Department. “Based on my firsthand experiences, I believe the dismissal of the Black Panther case was motivated by a lawless hostility toward equal enforcement of the law. Others still within the department share my assessment. The department abetted wrongdoers and abandoned law-abiding citizens victimized by the New Black Panthers. The dismissal raises serious questions about the department’s enforcement neutrality in upcoming midterm elections and the subsequent 2012 presidential election. “The U.S. Commission on Civil Rights has opened an investigation into the dismissal and the DOJ’s skewed enforcement priorities. Attorneys who brought the case are under subpoena to testify, but the department ordered us to ignore the subpoena, lawlessly placing us in an unacceptable legal limbo. What are the priorities of the US Justice Dept.? “Despite those comments, Holder dismissed default judgments that the Bush Justice Department had filed against Malik Shabazz and Jerry Jackson in January 2009. 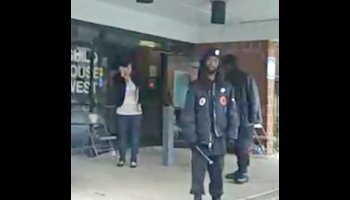 Samir Shabazz also was accused by the Bush DOJ of having “brandished a deadly weapon,” described as a nightstick, and “pointed it at individuals” while the polls were open for voting in the presidential election. A pipe bomb exploded during evening prayers at the Islamic Center of Northeast Florida on May 10. No one was injured inside the Jacksonville mosque, but police and the FBI are investigating it as a possible hate crime. From a Katie Couric interview in Glamour Magazine. SHERYL CROW: I think our system is broken in ways that can’t be fixed at this moment until we get some kind of campaign finance reform and we get people in office who—I think perhaps everybody starts off in office being altruistic and thinking they’re going to make big changes, and then they see the big dollars coming in. I don’t know what it is at the most fundamental level that…you know, what’s first, the chicken or the egg? But I appreciate the fact that those people are out there and that they are fired up. Your comments are elitist and you accuse others of what you are guilty of. Not being educated. If you really want to get out of your comfort zone, contact me and ask questions and seek the truth. Obama called back later that night. “Balanoff then described a Nov. 6, 2008 meeting he had with Rod Blagojevich to recommend Valerie Jarrett for Barack Obama’s Senate seat. Blagojevich responded that he was in “active discussions” with the Madigans about appointing Lisa Madigan and was holding out for a legislative package with the House speaker. BLAGOJEVICH: “Correct, and here comes Alexi. From the Chicago Tribune June 29, 2010. “One big question hanging over the trial of former Gov. Rod Blagojevich has been whether his convicted fundraiser, Antoin “Tony” Rezko, would appear at these proceedings to testify against his old friend. Rezko, now imprisoned at a federal facility in Wisconsin, has been cooperating with government agents since shortly after his 2008 conviction. It’s still not certain whether Rezko will testify, but at a hearing before testimony resumed today, U.S. District Judge James Zagel strongly suggested that Rezko would make a lousy government witness. I greatly admire Winston Churchill. 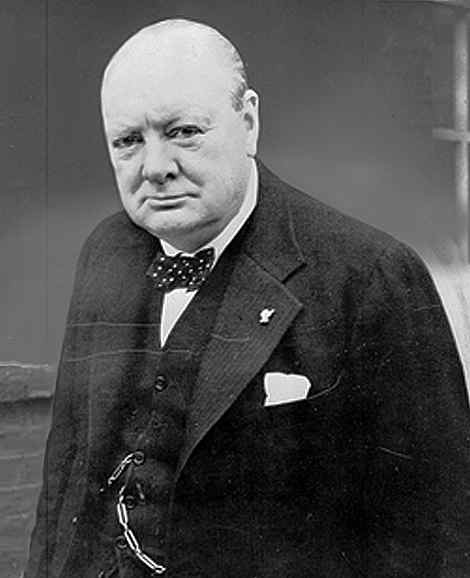 His words, his actions preceding and during World War II were the glue that saved England and the world. His words still ring true. We must change congress this November 2010. That, as Churchill stated, is not the end, but perhaps the end of beginning. Once we change congress we must forever remain vigilant and clean up the US Justice Dept., courts and state and local government. This is an ongoing duty. Here is an example from my home state of NC. I received the following in an email this morning. “Bev Perdue and the Perdue Campaign lied about reasons for non-disclosure of flights. On October 15, the NCGOP conducted a press conference outlining our suspicions that, like Mr. Easley, Gov. Perdue and her campaign had utilized private and corporate aircraft in violation of NC law by not disclosing properly or reimbursing properly the flights. We now know this was a lie. On page 6 of the Board of Elections report on campaign flights, there begins a lengthy discussion of $28,000 in corporate flights paid for by New Bern lawyer and good friend of the Governor, Buzzy Stubbs. This discussion consumes many paragraphs and several pages of the report. But according to what Mr. Stubbs told Kim Strach and Chairman Leake, he had on many occasions told the campaign that he was paying for the flights and inquired about how his payments for the flights had been handled, because he was aware that he had already given the maximum amount allowed by law to the Perdue campaign. Mr. Stubbs specifically identified Peter Reichard and John Wallace as individuals with whom he had discussed his concern about proper accounting for his payments. Mr. Stubbs stated that he had been told of a variety of ways the travel payments could be handled and he often was not comfortable with the information he was being provided. Finally, on October 23, 2008, Mr. Stubbs sent a letter to the Perdue committee with copies to Wallace and Reichard. In the letter, Mr. Stubbs states that he has personally reimbursed his law firm in the amount of $28,498.04 for “payment in kind in the form of airplane transportation for Bev Perdue.” He included a copy of his personal check to the law firm in that amount. Despite this very tangible evidence from a donor of over $28,000 in flights, Gov. Perdue and her campaign failed to disclose the flights as required by law in their 48 hour reports. Nor did they disclose these flights in their 2008 year end report, filed over three months after they received Mr. Stubbs letter on October 23. No, Gov. Perdue and her committee didn’t acknowledge the flights at all until their 2009 mid-year semi-annual report in July 2009. And only after the Easley investigation indicated to them they had better get busy. It is pretty clear that, were it not for the ramifications of the Easley hearings, Gov. Perdue and her campaign would never have disclosed or paid for the flights. Keep in mind that the Stubbs flights represent only half of the flights that were ultimately disclosed. In addition to the bogus excuse about the mysterious “computer software glitch” and Mr. Wallace laughably disingenuous claim that the campaign was unaware that Mr. Stubbs was paying for the flights, the Perdue committee has offered various other explanations as to why the flights were not disclosed. My personal favorite, expressed by Mr. Reichard was that “the campaign had no process in place to track and disclose information regarding flights.” Not only does this fly in the face of Mr. Stubbs many conversations with Reichard and Wallace, it also does not align with documentation provided by the Perdue committee. What we have here is the Gov. Perdue campaign first knowingly and willfully failing to disclose contributions as required by law, and then engaging in lies in an attempt to cover up. Now might be an appropriate time to remind you of some public utterances from our Governor while all this was going on. That brings me to the 2nd revelation and major conclusion. That Gary Bartlett, Chairman Leake, and John Wallace colluded in an attempt to derail, distract, and obstruct the investigation by SBOE into the financial irregularities and illegalities of the Perdue for Gov. Campaign. I now refer to the timeline that is an addendum to the SBOE report. It documents that we first filed a complaint on October 15, 2009, asking the SBOE to investigate the Perdue Committee. According to the timeline developed by SBOE staff, there is no mention of taking any action on the complaint until almost 3 months later, on January 12. It is not until March 23, according to the timeline, before Bartlett authorizes Kim Strach to interview the first witness that same day, after waiting over 5 months to begin the investigation. Bartlett tells Strach that the board wants a resolution to the matter quickly so the interview needs to be wrapped up quickly. By contrast, again according to the timeline, Mr. Bartlett received a letter from NC Democrat party Executive Director Andrew Whalen on February 15 requesting all correspondence between candidates Smith and Graham and SBOE office and any rules on advisory opinions on the subject. The next day, Feb 16, Bartlett advises Strach to draft a letter for Whalen and compile all responsive documents. The letter is completed and the documents collected that same day. The next day, two days after Whalen’s request, Bartlett directs Strach to hand-deliver letter and documents to Andrew Whalen at NCDP headquarters. It is delivered that day. That same day, and only because I asked for a meeting with Bartlett, I received a one paragraph letter acknowledging an investigation of the Perdue campaign is underway, four months after we filed a complaint. Later, on Feb 23, Whalen filed a complaint regarding Republican candidates. Bartlett and Strach meet the same day to discuss. It took three months before our complaint was even discussed at the SBOE. As weeks go by, on repeated occasions, Chairman Leake and Mr. Bartlett direct Strach not to personally follow-up with campaign staff, but to restrict her contact to letter drafted by Mr. Bartlett. Then, unbelievably, as detailed in several places in the timeline, Strach is told by both Bartlett and Leake that John Wallace and Zach Ambrose, Perdue COS as Lt. Governor, her campaign manager for Gov, and her COS as Governor, will determine who Strach will be allowed to interview. It is unheard of for a law enforcement agency to allow attorneys with clients under investigation, or as in Mr. Ambrose’s case, targets of the investigation, to determine which witnesses will be allowed to testify. This is collusion and obstruction of justice. Leake takes over the investigation on or about April 1, when Strach becomes aware of a notebook in John Wallace’s possession that has detailed information regarding flights that Perdue took. Weeks go by and Strach has still not been granted access to the notebook and Bartlett is aware of this. Then on April 27, Strach advises Bartlett that she will be in Wilmington the following day to deliver the Rusty Carter report to the New Hanover Assistant DA, Tom Old. April 28 – Bartlett sends two SBOE staffers (McClean, Wright) who have had no involvement in the investigation henceforth to interview Wallace while Strach is out of town. Strach finds out about this while she is in Wilmington and contacts Bartlett to make sure he tells McClean and Wright to copy the entire contents of the notebook. Bartlett tells Strach that Wallace will not allow that. With the discovery of the notebook, Leake inserts himself into the investigation, apparently in collusion with John Wallace. Leake begins to schedule interviews, some of which Strach is excluded from. He and Bartlett prevent her from interview Wallace and Ambrose. Leake sits in on interviews with Strach and in some instances limited the length and breadth of the interviews. This is highly inappropriate behavior and fraught with conflict. This is like a judge sitting in on witness depositions in a case he will be called on to judge impartially. It is apparent that Bartlett, Leake and Wallace, acted, often consulting with each other on several occasions, to derail the investigation away from issues and witnesses they considered dangerous to Gov. Perdue and her committee. And Mr. Bartletts’ conclusion in his memo the Board that there is no evidence that there is no intent of wrongdoing is an embarrassment to the people of North Carolina. Accordingly, we call today for Executive Director Bartlett and Chairman Leake to resign their positions immediately. It would be the first honorable thing they’ve done in this matter. Failing that, Gov. Perdue should remove Chairman Leake, appoint a replacement, and ask the Board to immediately begin a search for a new Executive Director. Because any of this is unlikely to happen, by letter today, we are asking Wake County District Attorney to launch an investigation into obstruction of justice at the NC BOE, particularly the actions of Mr. Bartlett and Chairman Leake. “Most disturbing, the dismissal is part of a creeping lawlessness infusing our government institutions. Citizens would be shocked to learn about the open and pervasive hostility within the Justice Department to bringing civil rights cases against nonwhite defendants on behalf of white victims. Equal enforcement of justice is not a priority of this administration. Open contempt is voiced for these types of cases. In case you didn’t see this yesterday. “From the Blagojevich complaint we discover more interesting conversations centered around the senate seat and more people caught on tape. “The November 10 , 2008 wiretap has not been released.